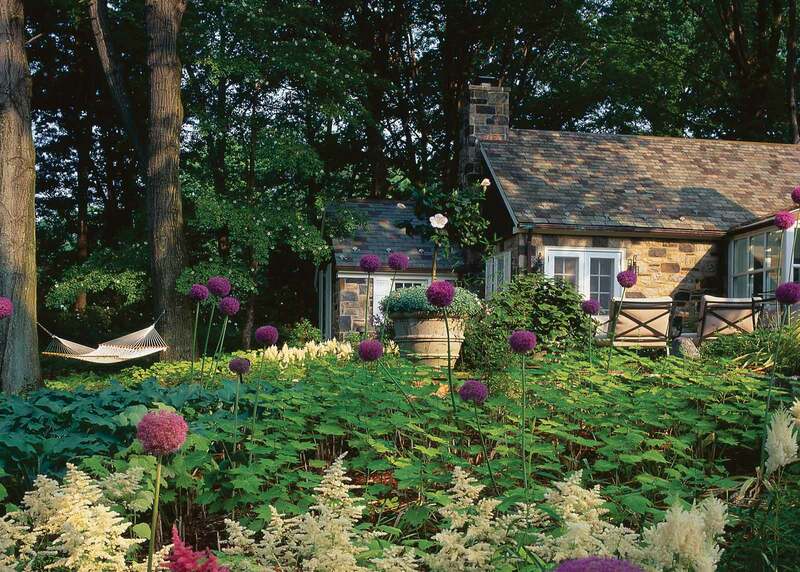 The homeowner’s love of England inspired a renovation of Sky Meadow, a 1920’s vintage stone and shingle cottage on nine-acres north of New York City. The surrounding gardens are designed entirely in response to the scale of the cottage and its rejuvenated Cotswold style. The home features multiple access points to the outdoors, which is the basis for a series of garden rooms around the house. By associating indoor spaces with outdoor spaces of a related purpose and architectural style, the distinction between house and garden is virtually erased. The kitchen garden is conveniently located for easy harvest and cooking, the dining terrace expands the table to the out of doors, and the master bedroom has its own private garden retreat. 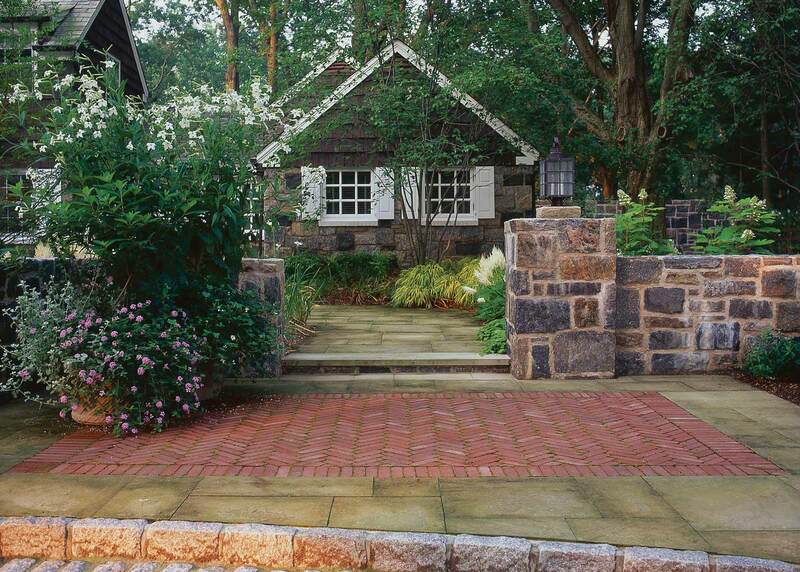 Stone appears prominently throughout the design, a nod to the old world aesthetic of the home. 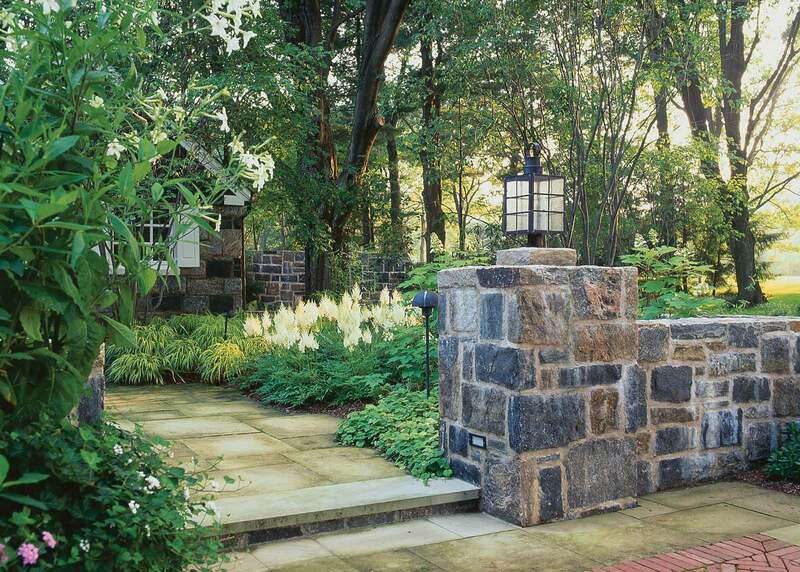 Crafted stone walls organize the garden, framing the entry garden by the front door, kitchen garden, and the secret garden off of the bedroom. 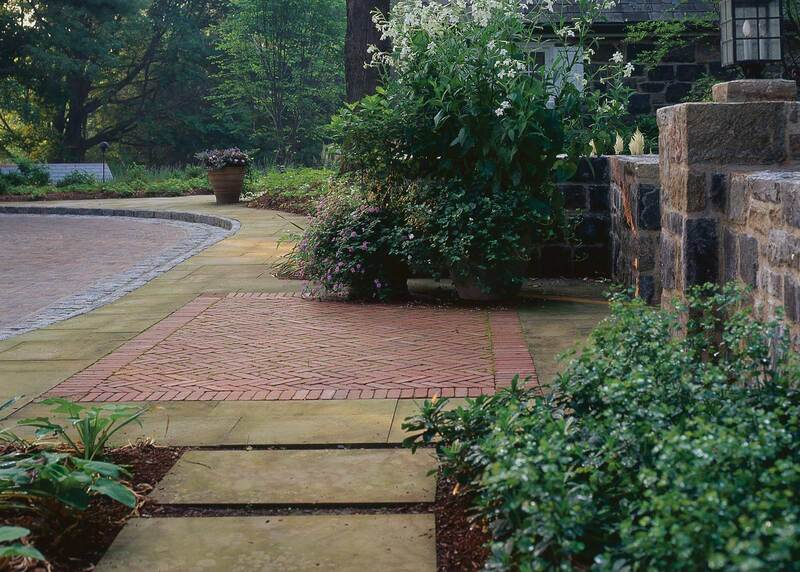 Differences in paving patterns further define each of the garden rooms. Water features are strategically placed throughout: A wall fountain is a highlight of the kitchen garden, a circular still pond links the living room and dining terrace, and a historic well pump and basin provide the secret garden a source with which to water the garden. 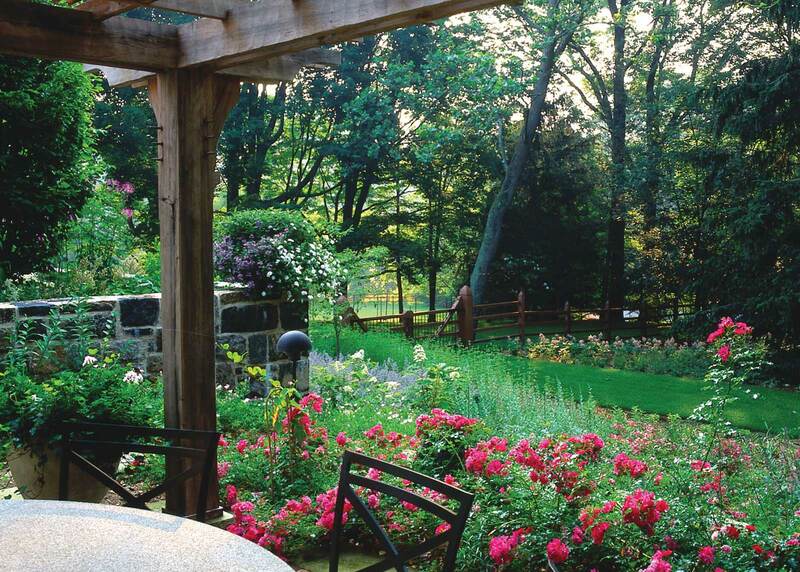 Throughout the property, the cottage’s architectural history informs the gardens’ design. 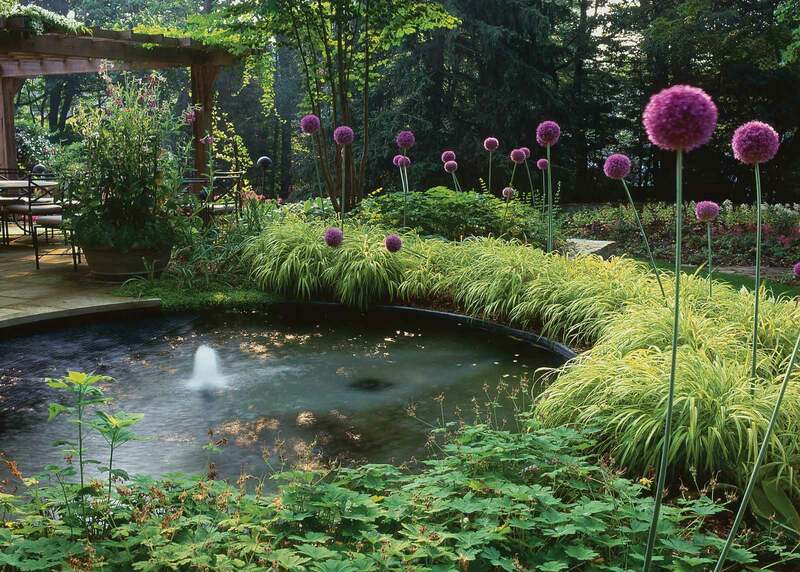 The depth of the walls, the circumference of the pond, and the height of the gateposts connect the architecture of the home with the architecture of the garden.